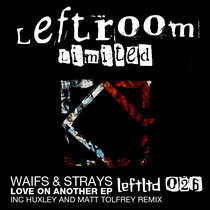 Leftroom Limited returns with the ‘Love On Another’ EP from the hotly tipped British production duo Waifs & Strays, backed with a remix from Huxley & Matt Tolfrey. Breaking through in 2011 with a string of releases on Hot Creations, Futureboogie and Get Physical, Waifs & Strays have embraced both the current rising hybrid-house sound and their preceding influence of early-90s house and disco music to create eclectic and captivating tracks. 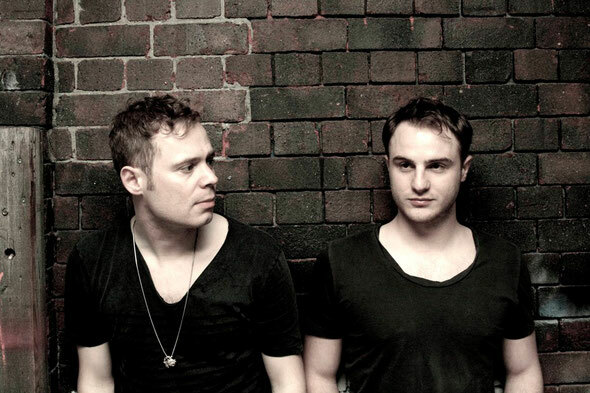 The duo released the huge bomb ‘Yeah Yeah’ on Leftroom’s ‘The Extended Family Part 2’ back in 2011, which alongside Laura Jones ‘Love In Me’ on the same release, got regular play throughout the Miami WMC that year. Title track ‘Love On Another’ opens the EP, instantly cutting through as peak-time house material with crunchy claps and a hooky organ line. Simplicity in structuring is the key here, but it’s the deft touches that subtly entice the listener with a combination of minute delays and dexterous background twitches adding intense depth and movement, while the soulful vocal lines and bright piano chords further fuel its retro house vibe. Next up ‘For A While’ takes on a stripped back, emotive form with raw swung snare rolls, shuffling hats and white noise sweeps, while a soft synthesized melody builds an eerie atmosphere. The duo implant their signature weighty bassline and dark synth chords on the composition, while their clever use of call and response vocals radiates charm and precision in their approach to production. To close the release Huxley & Matt Tolfrey deliver their rework of ‘For A While’, applying a darker dubbed out house notion. The track relies on tonal hits, crisp beats and off kilter kicks as its driving force, creating a stuttering punchy groove. Delicate filter modulations and expansive delays on the vocals produce an evolving dynamism that meanders around the warbling synth line running throughout.